Rediff.com » Business » Charges against Rajat Gupta: The inside story! When Rajat K Gupta was appointed managing director worldwide of McKinsey & Company in 1994, former partner at McKinsey and best-selling management guru Tom Peters said, 'He is the best thing to happen to McKinsey since Marvin Bower's days at the firm'. Even after he retired from McKinsey in 2003 after 30 years of service, Gupta went on to serve as board member of top American companies and also advisor to the then United Nation Secretary General Kofi Annan, growing in stature and fame for his vision, integrity and creativity. A tribute to him came from the then President Bush when at a Rose Garden event he congratulated Gupta for his compassion and concern. 'It is important for people who have been successful in the business world to contribute something back to society. 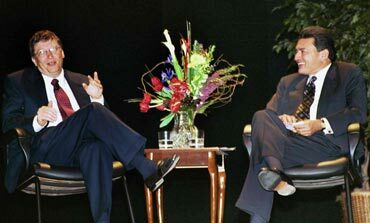 Rajat, thank you for that spirit, and thank you for that compassion and concern,' President Bush said. 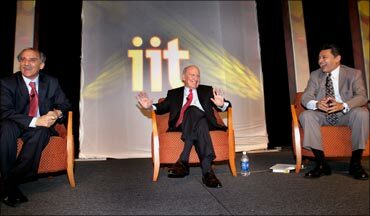 But last week the reputation of Gupta, one of the most revered business and management icons for the Indian American community, came under a cloud after the Federal Security and Exchange Commission charged him with insider trading. 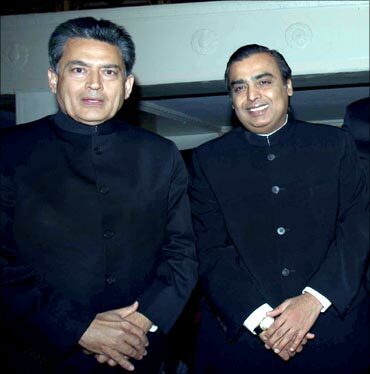 Image: Rajat Gupta, former McKinsey MD and director on Goldman Sachs board, with RIL chairman Mukesh Ambani. Gupta, 62, who has served on the boards of directors at Goldman Sachs and Procter & Gamble, was charged with illegally tipping Galleon Management founder and hedge fund manager Raj Rajaratnam with inside information about quarterly earnings at both firms as well as an impending $5 billion investment by Berkshire Hathaway in Goldman. The US Securities and Exchange Commission's Division of Enforcement alleged that Gupta, a friend and business associate of Raj Rajaratnam, provided the latter with confidential information he learned during board calls and 'in other aspects of his duties' on the Goldman and P&G boards. Rajaratnam is a Sri Lankan billionaire and managing member of Galleon Management LLC, who was arrested in October last year in connection with the largest insider trading on Wall Street involving a hedge fund and later freed on bail. According to the civil complaint Rajaratnam used the inside information to trade on behalf of some of Galleon's hedge funds, or shared the information with others at his firm who then traded on it ahead of public announcements by the firms. 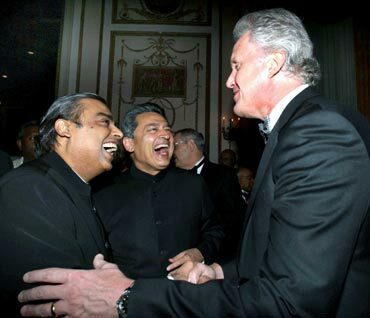 Image: Rajat Gupta (center) and Mukesh Ambani share a joke with GE chairman Jeffrey Immelt. 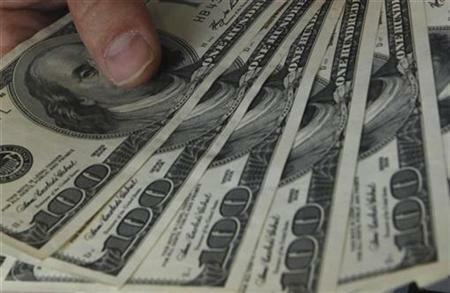 The insider trading by Rajaratnam and others generated more than $18 million in illicit profits and loss avoidance. Gupta was at the time a direct or indirect investor in at least some of these Galleon hedge funds, and had other potentially lucrative business interests with Rajaratnam. It was not clear from the SEC complaint if Gupta made any profit from the alleged insider trading. 'Gupta was honoured with the highest trust of leading public companies, and he betrayed that trust by disclosing their most sensitive and valuable secrets,' said Robert Khuzami, director of the SEC's Division of Enforcement. Image: Galleon Management founder and hedge fund manager Raj Rajaratnam. The SEC alleged that Gupta as a member of Goldman's board of directors, tipped Rajaratnam about Berkshire Hathaway's $5 billion investment in Goldman and its upcoming public equity offering before that information was publicly announced on September 23, 2008. Gupta, the SEC said, called Rajaratnam immediately after a special telephonic meeting at which Goldman's board considered and approved Berkshire's investment in Goldman Sachs and the public equity offering. Within a minute after the Gupta-Rajaratnam call and just minutes before the close of the markets, Rajaratnam arranged for Galleon funds to purchase more than 175,000 Goldman shares. 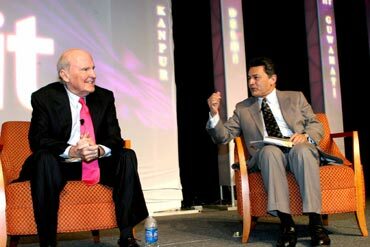 Image: Gupta with former GE chairman Jack Welch (left). Rajaratnam later informed another participant in the scheme that he received the tip on which he traded only minutes before the market close. 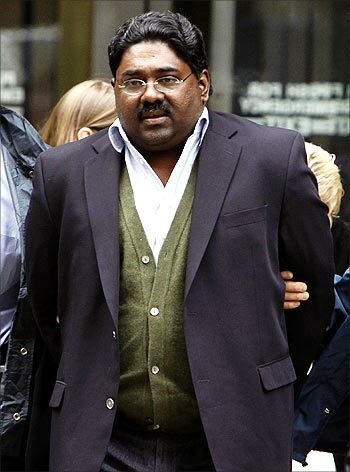 Rajaratnam caused the Galleon funds to liquidate their Goldman holdings the following day after the information became public, making illicit profits of more than $900,000. Besides being a top-notch management, Gupta has also been involved with charities and philanthropic activities, including with the America India Foundation, the largest Diaspora philanthropy organisation focused on India and based out of the United States, where he is co-chairman, for a long time. Neither Gupta nor the AIF retuned calls by this correspondent for comments. 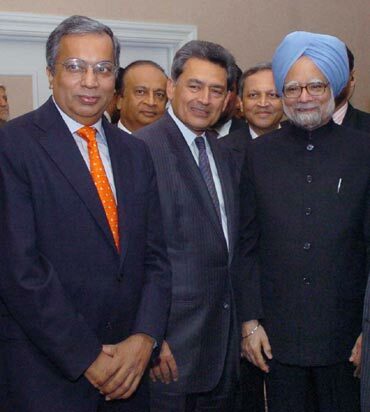 Image: Gupta with Prime Minister Manmohan Singh. Gupta's attorney Gary Naftalis, however, said that the SEC's allegations are totally baseless. 'Gupta's 40-year record of ethical conduct, integrity, and commitment to guarding his clients' confidences is beyond reproach. Gupta has done nothing wrong and is confident that these unfounded allegations will be rejected by any fair and impartial fact finder,' he said in a statement to the media. 'There is no allegation that Gupta traded in any of these securities or shared in any profits as part of any quid pro quo. In fact, Gupta had lost his entire $10 million investment in the GB Voyager Fund managed by Rajaratnam at the time of these events, negating any motive to deviate from a lifetime of honesty and integrity,' he said. The SEC alleged that Gupta also disclosed to Rajaratnam inside information about Goldman Sachs's positive financial results for the second quarter of 2008. Image: Microsoft czar Bill Gates with Gupta. Goldman Sachs CEO Lloyd Blankfein called Gupta and various other Goldman outside directors on June 10, when the company's financial performance was significantly better than analysts' estimates. 'Blankfein knew the earnings numbers and discussed them with Gupta during the call. Between that night and the following morning, there was a flurry of calls between Gupta and Rajaratnam. Shortly after the last of these calls and within minutes after the markets opened on June 11, Rajaratnam caused certain Galleon funds to purchase more than 5,500 out-of-the-money Goldman call options and more than 350,000 Goldman shares. 'Rajaratnam liquidated these positions on or around June 17, when Goldman made its quarterly earnings announcement. These transactions generated illicit profits of more than $13.6 million for the Galleon funds,' the SEC charged. 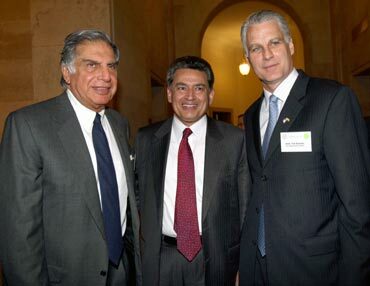 Image: Gupta with Tata Group chairman Ratan Tata and US Ambassador to India Timothy Roemer. The Division of Enforcement further alleges that Gupta tipped Rajaratnam with confidential information that he learned during a board posting call about Goldman's impending negative financial results for the fourth quarter of 2008. The call ended after the close of the market on October 23, with senior executives informing the board of the company's financial situation. 'Mere seconds after the board call, Gupta called Rajaratnam, who then arranged for certain Galleon funds to begin selling their Goldman holdings shortly after the financial markets opened the following day until the funds finished selling off their holdings, which had consisted of more than 120,000 shares,' the SEC alleged. 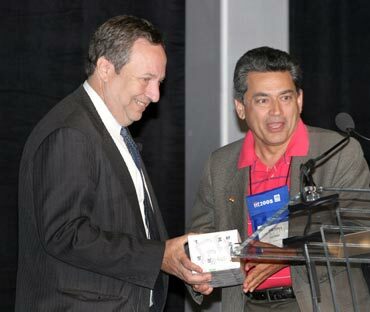 Image: Harvard president Larry Summers with Gupta. Gupta served as a Goldman board member from November 2006 to May 2010, and has been serving on Procter & Gamble's board since 2007. According to the SEC, Gupta illegally disclosed to Rajaratnam inside information about P&G's financial results for the quarter ending December 2008. Gupta participated in a telephonic meeting of P&G's audit committee at 9 a.m. on Jan. 29, 2009, to discuss the planned release of P&G's quarterly earnings the next day. A draft of the earnings release, which had been mailed to Gupta and the other committee members two days before the meeting, indicated that P&G's expected organic sales would be less than previously publicly predicted. 'Gupta called Rajaratnam in the early afternoon on January 29, and Rajaratnam shortly afterward advised another participant in the insider trading conspiracy that he had learned from a contact on P&G's board that the company's organic sales growth would be lower than expected. Galleon funds then sold short approximately 180,000 P&G shares, making illicit profits of more than $570,000. Gupta is a founding partner and the chairman of New Silk Route Partners LLC, an investment firm that was originally called Taj Capital Partners and was founded by Gupta, Rajaratnam, and others in 2006. Image: Arun Shourie (left), Jack Welch and Gupta. Interestingly, the SEC case has been investigated, among others, by an Indian American, Sanjay Wadhwa, of the New York Regional Office of the SEC. The SEC charges against Rajat Gupta took some of his friends and acquaintances by shock and surprise. Navneet S Chugh, a high-profile California-based attorney, who was on the board of AIF (America India Foundation) until till Dec 31 2010, said that Gupta, he believes cannot be guilty. "I am convinced he is not guilty of charges levelled against him by the SEC. He is a smart intellectual. He is a caring and giving person and did a lot for many charities," Chugh told this correspondent. 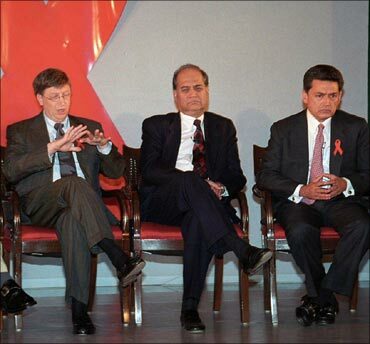 Image: Bill Gates, Bajaj Auto chief Rahul Bajaj and Rajat Gupta. "When I was on AIF board for six years, we tried to build an organisation that was not dependent on one person and was an institution. And we succeeded," he said. He would not make any other comment including whether Gupta's SEC accusation would adversely impact the AIF's philanthropy efforts. But Vivek Wadhwa, a senior research associate with the Labor and Worklife Program at Harvard Law School and an executive in residence/adjunct professor at the Pratt School of Engineering at Duke University, said that the charge against Gupta is a big negative for the community. "I am not friends (with) Rajat, but have met him a couple of times. This is a big negative for the community regardless of whether he is convicted or not," he said. "Rajat was an icon of the Indian community and should have had higher standards -- like not calling Rajaratnam right after a board meeting. The amount of money that Rajat is alleged to have received is a small fraction of what he has probably given away. 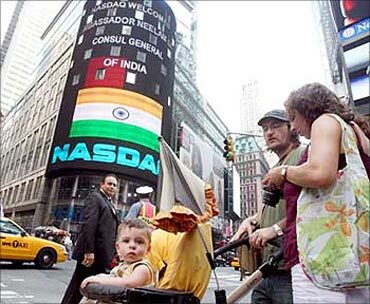 So this is bad, bad, bad for him, the Indian community, and for all immigrants," Wadhwa said. "The good thing is that there are so many other success stories that Rajat isn't as relevant or as important to the Indian community as he was a decade ago. The new generation of Indians doesn't even know who he is, so there is no long-lasting damage," he said. IMAGES: 110 years of automobiles!